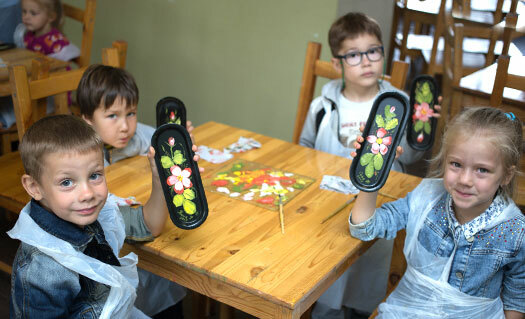 If you have never painted before but would like to learn or at least try, we will help you make your dream come true and not only… With us you will be able to enjoy the world of a fascinating folk art – decoration of metal trays with oil paints. 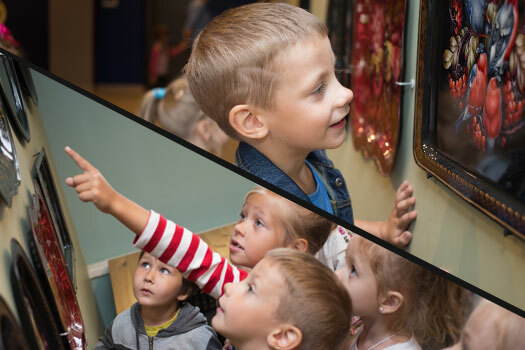 To help you get a deeper understanding of the Zhostovo art and contemplate the best masterworks, we will first demonstrate the full painting process and then you will learn more about the craft during a tour of the world’s one of a kind Museum of Trays. We will guide you through the whole history of the craft from the very beginning till the present state. You will get a glimpse of the actual manufacturing process at the Zhostovo Factory in the second part of the tour. By this time you will for sure feel the creativity bug and we will be there for you with everything you need to make your own artwork which will remind you of the visit to the factory for years to come and may be stay in your family for generations. 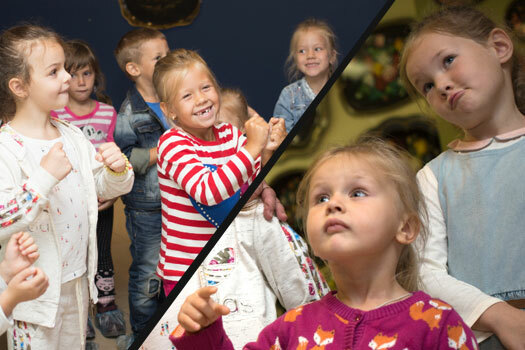 In our cozy and comfortable studio you will be surrounded with lots of Zhostovo trays for your inspiration and provided with all necessary tools and instruments: brushes, colour palettes, paints and expendable aprons – it’s better to take some precautions beforehand as you might get carried away! You will work with the exact same instruments our masters use, which is very important as you will be painting not on paper but on a real metal Zhostovo tray! The workpieces you’ll receive will be specially prepared for decoration with paints. After you finish painting and put the signature on your tray, it will take a few days to dry it in the furnace and coat with lacquer before handing back to you. During the master class our experts will share the secrets of the classic Zhostovo flower bouquet, show you how to work with pure colours and mix hues directly on the surface of the tray, teach to line out the contours and tell about the power of aerial perspective – all that while carefully guiding you through the creative process. Our workshops are available for both children and adults. Children are usually more audacious than adults at first but even the latter get so involved in the painting that in a while they relax and turn into those carefree children they once were. Painting Master Classes offer a great way to take a break from stresses and worries of everyday life and dedicate some time to yourself. All you need is the enthusiasm to paint and create! Tours and master classes are held every day from 9:00 a.m. to 5:00 p.m. Advance booking is necessary! To book a tour or a workshop please call us: (495) 981 39 89, +7 903 147 93 27. Tours and master classes are available for kids over 4 years of age and adults. Master class lasts 1 hour. DECORATIVE PAINTING OF TRAYS – can be exciting! Book a workshop and you will see for yourself! Workshop and a guided tour* - 2 hours (+/- 15 minutes). 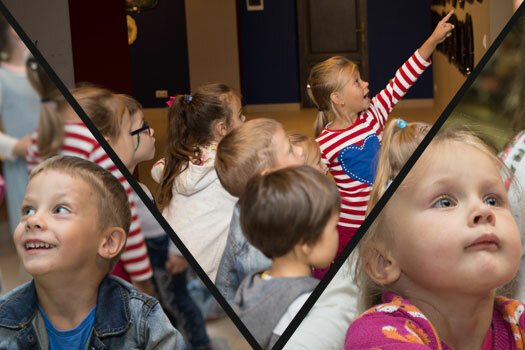 Guided tour of the museum** - 1 hour (+/- 15 minutes). *price per 1 person; the price includes a guided tour, demonstration of the painting process by a master, a documentary film on the manufacturing method, master class, coating of your tray with lacquer and delivery to our Moscow store. ** price per 1 person; the price includes a guided tour, demonstration of the painting process by a master and a documentary film. You will be able to pick up the tray you painted during your visit within two weeks at the factory or at any of our brand stores. Please wait for a message confirming that your tray is ready.